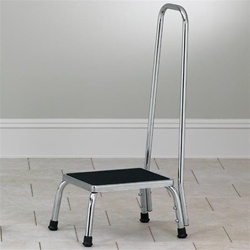 The T-50 Medical step stool with Hand Rail by Clinton features chrome plated steel. 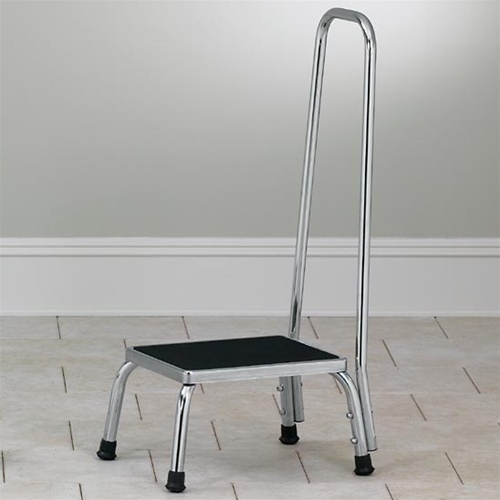 The medical step stool has a rubber treaded top and rubber feet for safety. Although somewhat heavy this is an ideal step stool with a strong handrail.